Actor-filmmaker Kamal Haasan and writer-director B.K Mouli, who had previously worked in Tamil films "Pammal K. Sambandham" and "Nala Damayantia, are reportedly planning to join hands for a new project in the language. "Mouli and Kamal have met and discussed about collaborating. 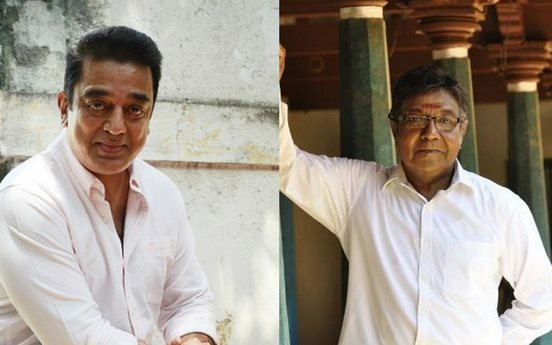 Mouli pitched a story and Kamal apparently liked it but everything is in the nascent stage. Kamal is yet to give his in-principal nod for the project," a source close to Haasan told. The source added that the project could be an out-and-out comedy film. Mouli is known for critically acclaimed Tamil films such as "Matravai Neril", "Annae Annae" and "Oru Pullangulal Adupu Oothugirathu" among others. Kamal is currently busy dubbing for his upcoming Tamil crime-thriller "Thoongaavanam". He also has Hindi political-thriller "Amar Hai" with Saif Ali Khan in offing.